The official poster for Mayweather vs McGregor is finally out. 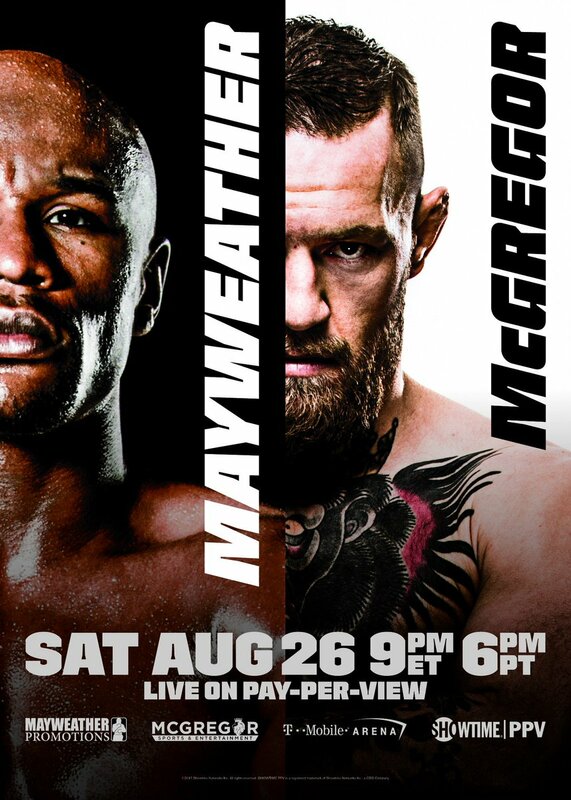 On Friday, Showtime Boxing released the official poster for the highly-anticipated boxing match between MMA superstar and UFC lightweight champion Conor McGregor and former boxing world champion and all-time-great Floyd Myweather Jr. This is the official poster for the fight, not the one that was released last month announcing the fight. The Mayweather vs. McGregor boxing match is set to go down on Aug. 26 at the T-Mobile Arena in Las Vegas, Nev. The bout, which will be contested at 154 pounds, will air only on pay-per-view.